Alex Lifeson is an under the radar guitar hero. He's been a terrific guitar icon from the late 1960s to present, and though Rush was never my very favorite band, they have always been on my playlists. They always will be too. Alex Lifeson is a stage name, but not really. His birth name is long and very Serbian. His surname translates as "son of life," so Lifeson is perfect for an anglicized version. He and his band mates reflect extremely well on the great nation of Canada for the whole world. The Canadian prog rockers Rush have sold over forty million albums. You can imagine they've sold out lots of huge arenas too. Composed of three virtuoso level musicians, Alex Lifeson is the guitarist for Rush. But you already knew that. Me personally, I tend to like old music more than newer music. It takes time for me to form affection for new music. So in short, I prefer the classic rock RUSH from the 1970s and 80s to more current albums. The music is always intriguing though. These are intellectual guys. The lyrical content of a song may be something from French history. Science fiction is another favorite topic, and then they'll dive into the uncomfortable realm of sociology and economics whenever they please. Alex has been playing guitar at a very high level for over forty years. Most of that time the guitarist in a band was expected to stand out, to show off, to be dramatic. Well, Lifeson did show off and stand out, and his playing was dramatic, just not in the way of others. Lifeson put more effort into complex composition, complex chord changes, and boy-howdy, those changing time signatures. He's well known for using chords one wouldn't expect in any given situation, and then his syncopation in rhythm playing. His riffing is highly personal and unlike any other's. Then when it comes to solos, expect anything, but also expect some Spanish style classical motifs. Rush has released at least 30 albums. That's a heck of a lot of music, and when you consider these are no three chord and three minute silly singles, but often symphony level productions lasting ten or more minutes, and with quite philosophical lyrical content, there is much to digest. Lifeson has at times also performed on mandolin, mandola, and bouzouki. Now the long career of a master musician such as Alex Lifeson's is going to be one where there is a huge lot of equipment used. His career is nothing close to over either. No matter how in love one happens to be with a certain guitar, when a string breaks on stage, someone better hand you another guitar fast. 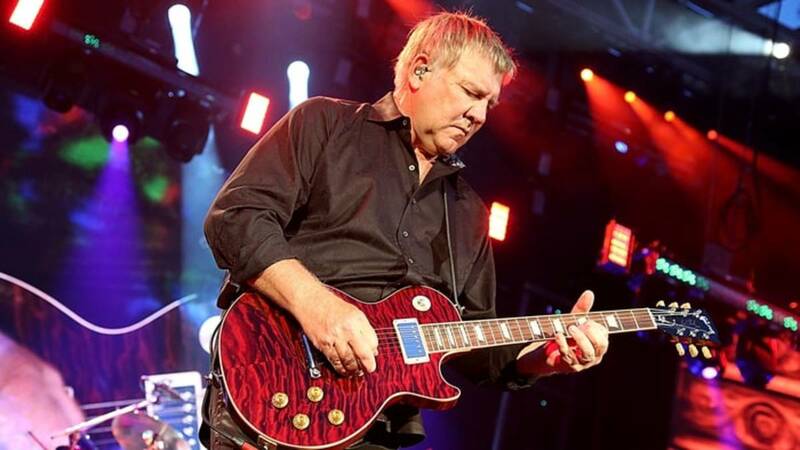 Alex Lifeson has had a deep love for Gibson guitars from the very start. He's been using Gibson ES-335 guitars for the entire length of his career, and we hope there will be a Lifeson model of one of those before too long. Of course Alex loves Fender guitars too. At one time he'd went to where he was using Strats almost exclusively, and then even super-strats. Over the course of his career, however, it does appear Gibson is his favorite. 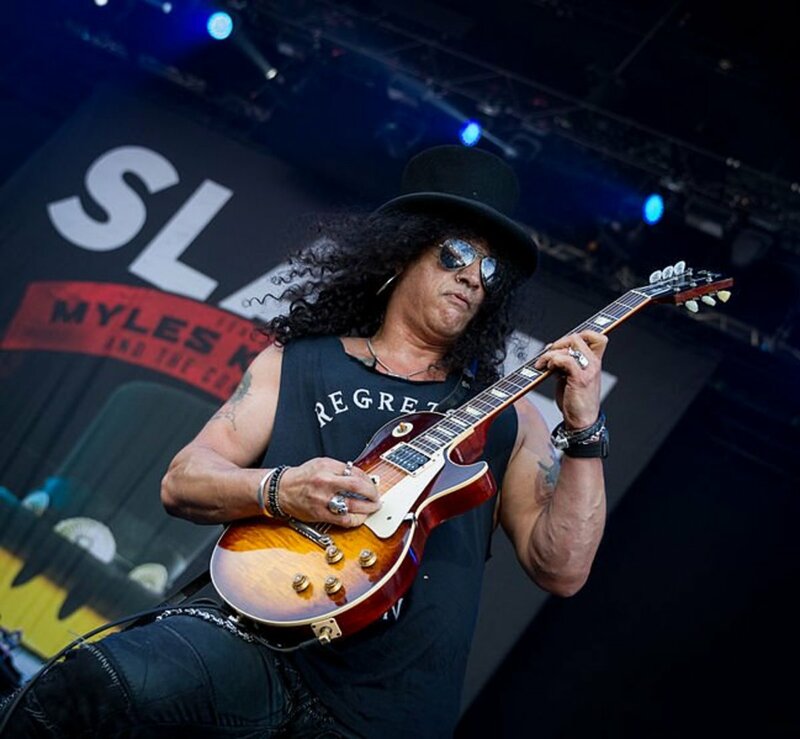 He's used many different 335s, many different Les Pauls, and many a Gibson acoustic too. No RUSH fan can ever forget his affection for the big double-neck EDS-1275 style guitars either. For our purposes here in this article, however, we'll have to concern ourselves with the two models of Gibson Les Paul bearing Alex Lifeson's name. These are both very recent models of Les Paul, and so far as a Lester goes, these are both guitars which fall into price ranges one can at least rationalize. It's been said many times the Gibson Les Paul was God's very own gift to rock and roll music. Well, that's a fair statement. Another fair statement is Alex Lifeson is God's own prog rock guitarist. He loves the Les Paul, and Gibson makes two with his name attached. Let's check them both out! This is the perfect hybrid for Alex, as it melds his love for the ES-335 and the solid body Les Paul. 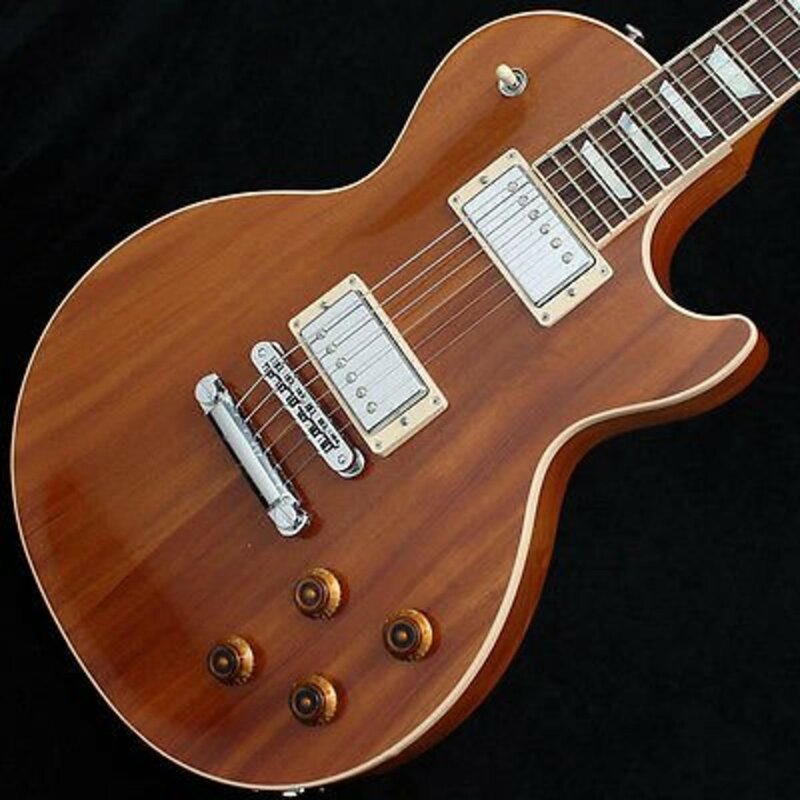 Of course there are ES Les Paul guitars produced regularly every year, but this is the one that fit the specifications Alex Lifeson desired, and it has his signature, which if you look, you can clearly see by the pickup selector switch. ES Lesters are great for adding a bit of warmth to the LP. Folks who would like for their guitar to produce some traditional jazz style tones often choose semi-hollow body guitars. These are also great for being loud enough when played unplugged that you can get some great practice in with them, even without any amplification. We're living in the golden age of guitar manufacturing. Gibson pulls out all the stops here for the Lifeson signature ES Lester Paul. The internal braces are of Adirondack spruce, and they've been treated thermally to improve the resonance they help provide. So too has the mahogany center block been treated. Then there are titanium bridge saddles and a genuine bone nut. The 3-ply way in which the body and top woods are done with one layer maple, then one poplar, and then another of maple is exactly how Gibson also does the ES-335s, and other similar guitars. This is to get the maximum in both strength and tone. Also worth noting here is Richlite is used for the fretboard. Usually on a guitar like this there would be ebony, but Richlite is sustainable. Ebony is not. It is by all accounts an equal or superior material. The hardware is all beautifully done up in gold. Gibson's top notch finish, of course, and all the binding are in effect. There are only two hundred of these in existence, so you'll have to pay attention, and be swift to ever own one. Then again, Gibson may make more of them. We will all know when we know. Let me start here by saying this is, out of the hundreds of guitar models I regularly think about, one of my very favorite of all. I absolutely love traditional Gibson guitars, and especially Les Paul guitars. This guitar is not even close to being traditional though. This is more like a space age guitar. This exact guitar has more bells and whistles, and more tonal variety, which should you play one, would be at your fingertips, than just about anything else available from any manufacturer in the world. You do have to pay for it, though, the guitar isn't inexpensive. 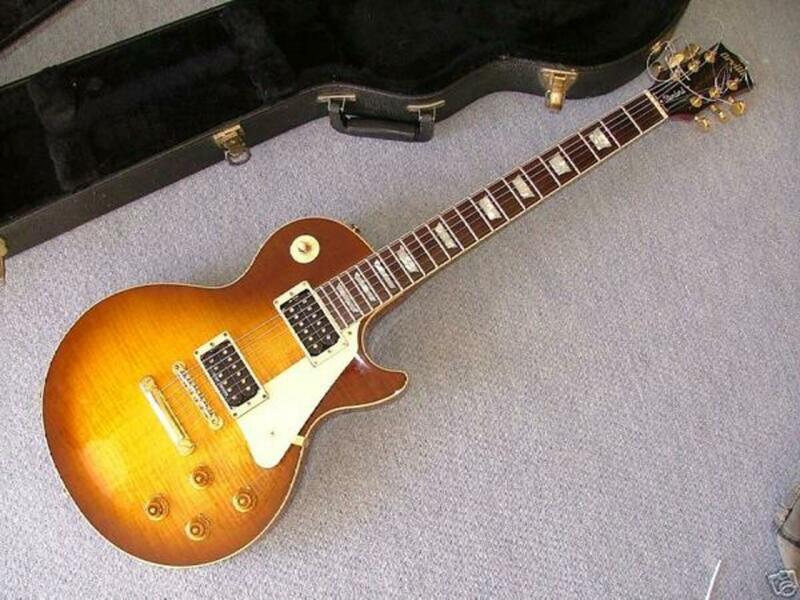 For being a Gibson LP and with all this stuff on it, the price is realistic. Alex Lifeson is really very very fond of using the whammy bar. His preference for Gibson guitars had ended right there in the past. Gibson purists object whole heartedly to the presence of double or even single action trem bars on classic models. Well, Alex is a bit too progressive for them, and this is, in the most apolitical way imaginable, a progressive product. The neck joint is non-traditional and is what is referred to here with the term 'axcess.' 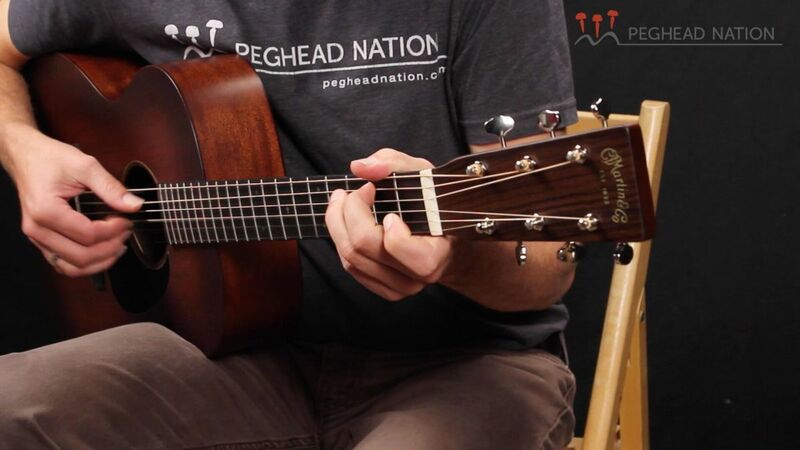 You have greater access to the upper frets, and the x used instead of two c's in the term is a play on the word 'ax,' a term often used for guitars. The whammy bar is double action, and licensed by Floyd Rose. You have the option to run the humbucker pickups in series or parallel. The Jimmy Page Lesters offer this option, and so does Alex Lifeson's Axcess. The humbuckers are 496R ceramic-magnet neck humbucker and 498T Alnico V bridge humbucker. The ghost pickup piezos are by Graph Tech, and can simulate most wonderfully, a flat top acoustic steel string guitar. For Alex Lifeson, and all those hundreds of complex songs, this guitar can do more of the job for him than any other. It's going to cost you a lot of money. If money isn't really that big a deal, then you may as well go even more all out, and get the 40th anniversary model with a quilted maple top. 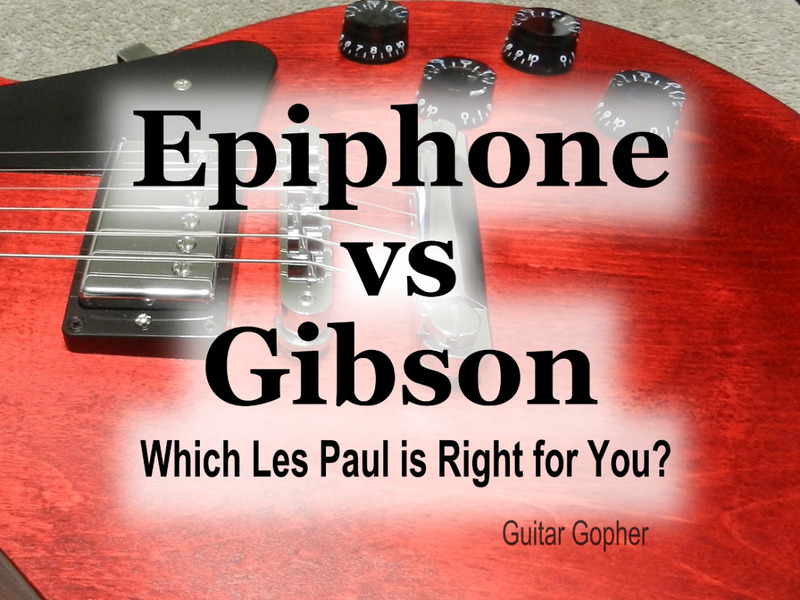 How Does One Decide Between These Two Amazing Les Paul Guitars? These two instruments may both be Gibson Les Paul models, but they are a world apart. This is fitting for Alex Lifeson because what he's playing on one tune may very well be unrecognizable as being from the same musician as what he plays on the next tune. Everything comes down to you, the shopper. Money is always important, and Gibson Les Paul guitars are never really cheap. The ES-Les Paul with Alex's signature on it is a four thousand dollar instrument. It's less expensive than the Lifeson Les Paul Axcess. It's also a lot more hard to find, as only two hundred were produced. I'm sure you can find one, however, if you've got the money and the desire to keep your head up looking for one. The ES-Les Paul is a very traditional Les Paul. The build specifications are superb, and very traditional. The fretboard inlay are block style, like LP Customs from long long ago. The gold hardware is fabulous to look at, but there's nothing new or out of the ordinary about that either. The guitar's only truly exceptional characteristic, and I mean this in terms of how it is different from other top of the line ES-LPs, is Lifeson's signature being so visible on it. 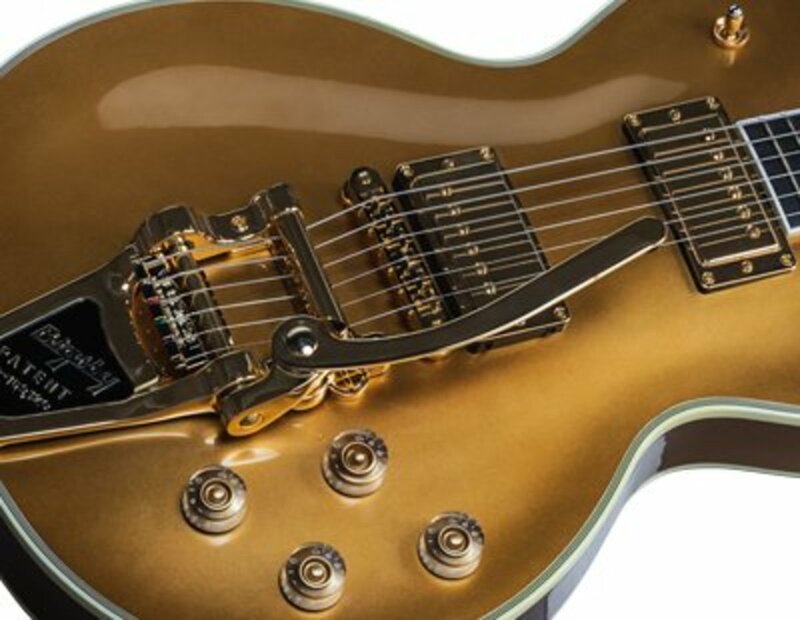 The Alex Lifeson Axcess is a different animal. It's entirely solid body, has a double action whammy bar licensed by Floyd Rose, ghost pickups, two output jacks, and an underside contour in the body so as to allow for easy access to all twenty two frets. It cost at least a thousand dollars more, is easily found, and is as far from being a traditional Les Paul as could possibly be. It's my pick, but only because I'm floored by the prospect of having a Les Paul which can scream like Alex Lifeson in RUSH, and then sound like Doc Watson on a flat top, but with a whammy bar. These two guitars represent guitar heaven. Gibson is manufacturing today what could only be dreamed of in the past. If you are so fortunate as to land either of these, you'll be happy with your purchase for as long as you live. Amen. Nell, when I was a kiddo I spent every Saturday with my mom's dad. And every damned week he had new banjos, new fiddles, new guitars, and new mandolins. We just trafficked in stringed instruments. So I'm trying in my meager way to carry on the tradition..
Also, I can play the guitar fairly well if I've put in the hours and hours of practice. But playing the guitar is very damned hard, and you have to play constantly to keep the skill level at the bare minimum, it's far harder still to advance. Cheesus Christo....life is hard. Lets have a drink and not worry. CHEERS!. I know nothing of guitars, but my husband had a habit of collecting them! We had loads in our front room. not sure what they are but I will be showing him your hubs, lol!